Lovers of an active lifestyle will be thrilled to stay at Raintree Whiski Jack at the Cascade Lodge, near the Blackcomb and Whistler mountains in Whistler, BC. Whistler is not only the number one ski destination in North America, it is a place to relax and thrill all the senses with an exhilarating combination of gorgeous natural beauty and plenty of activities to make your time here enjoyable. 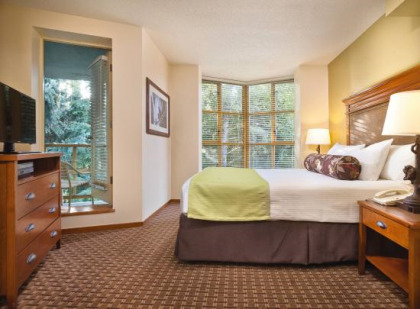 Choosing to buy Raintree Cascade Lodge timeshare properties gives you freedom and opportunities to visit any time. Amenities like a fitness center, ski valet, and complimentary WiFi are just the beginning. Relax in spacious one or two bedroom suites featuring a full size kitchen, dining area, washer and dryer, fireplace, dishwasher and televisions for everyone's entertainment. 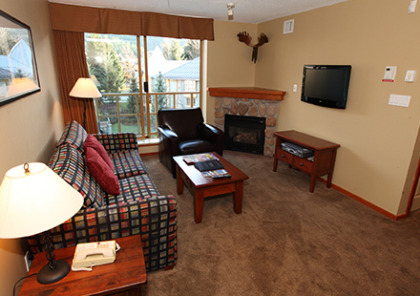 Cook meals in the privacy of your suite, or venture out to Whistler Village for exciting dining options. In nearby Whistler Village, you'll find delectable dining, bars, shopping, places to rent equipment and entertainment options. Depending on the time of year you visit, you can also enjoy music festivals. When you choose to buy Raintree Cascade Lodge timeshare properties, you're placing all these opportunities in the palm of your hand. Take a short walk to the gondolas, or use the complimentary shuttle to take you to your day of exciting ski adventures. This resort is scenic year round and offers a wealth of activities everyone will love. Once the snow melts, enjoy in-line skating on pathways, championship caliber golf courses, hiking, mountain biking, zip-lining, river rafting, canoeing, kayaking and fishing. Relax in the Raintree Whiski Jack at the Cascade Lodge outdoor swimming pool and soothe tired muscles after busy days in your choice of two hot tubs. Contact Raintree's Whiski Jack at the Cascade Lodge Specialist Today! Days: Friday / Time: 4:00 P.M. 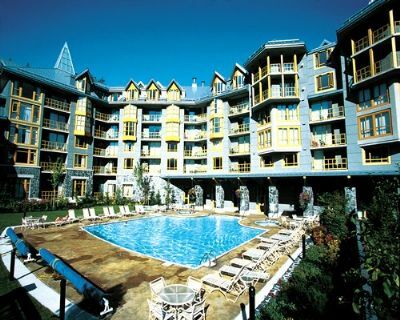 This resort is conveniently located in the heart of Whistler with easy walking to all restaurants, attractions and skiing. 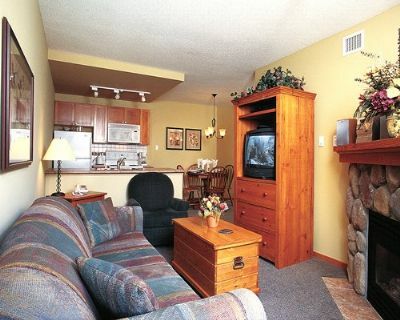 This unit has a beautiful view of the mountains as it is a corner unit. We love to stay here and have done so in winter, spring skiing and summer. You won't be disappointed.